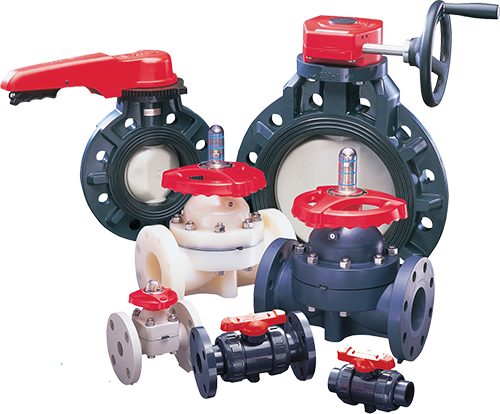 We feature a full complement of thermoplastic valves including ball, butterfly, diaphragm, globe, gate and ball check. In addition, both pneumatic and electric actuators are available to be factory mounted to our valves in our shop or purchased separately for field mounting. Choose which type of valve you desire, you may also view by the different manufacturers.